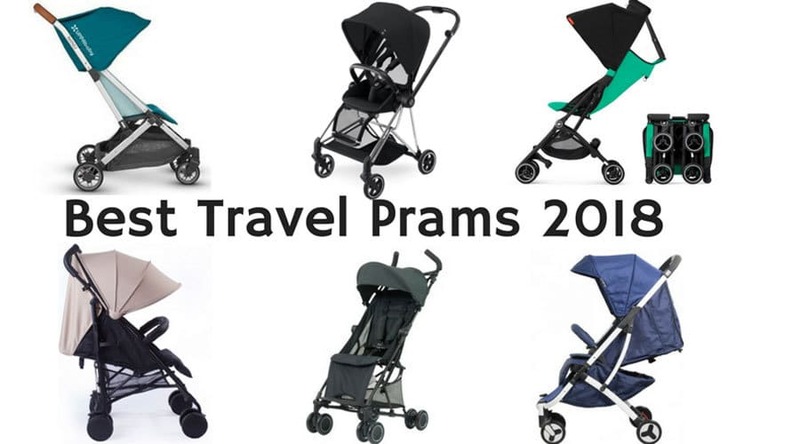 With the school holidays fast approaching now is a good time to think about what is the best travel pram for you to take on your next trip! What makes a pram the best travel pram? We’re looking for something that is light, compact, narrow, easy to fold, ideally something that can come right to the boarding gate at the airport, and better even if it fits in the overhead storage on the plane so you don’t have check your pram in as luggage. 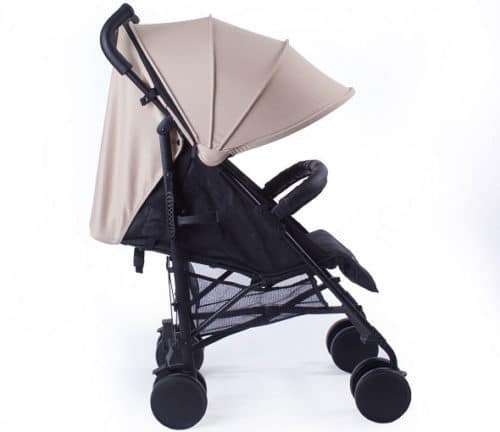 The Baby Monsters Fast is just a very basic, cheap, umbrella stroller. 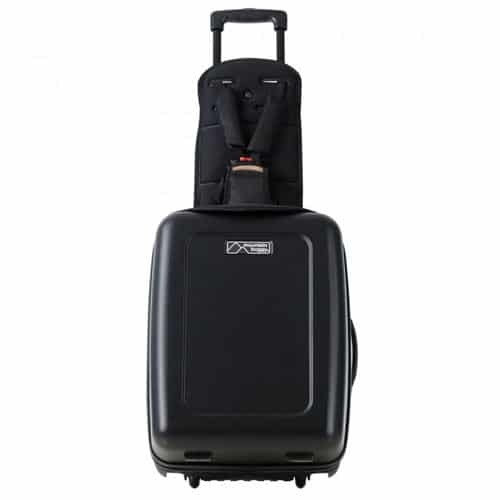 Which makes it an excellent travel stroller if you’re concerned about it getting lost or damaged in transit (Fun story: I have had a much more expensive pram end up on the wrong plane – thank goodness the airline found it and had it delivered back to me!) 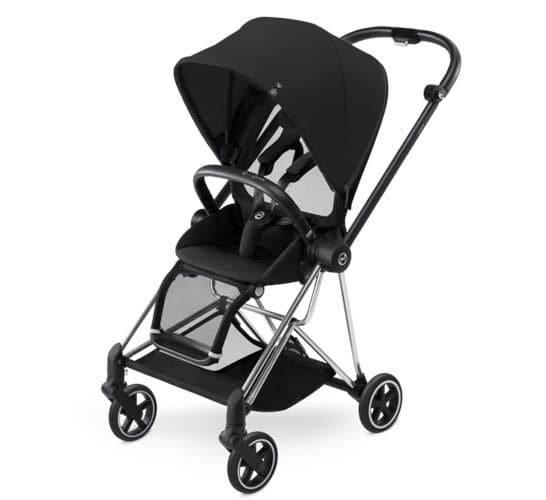 But despite it’s entry level price point the Baby Monsters Fast has a huge extendable canopy, good sized basket for a small pram, and it lays back completely flat so it’s suitable for newborns. It also has an adjustable footrest and comes with a rain cover. One of my go-to pram recommendations when people were asking for a light, compact, inexpensive, but effective, travel stroller was the old Steelcraft Holiday. Well that’s been discontinued and replaced with the new and improved Britax Holiday (Britax own Steelcraft, so it’s the same manufacturer). The Britax Holiday doesn’t have a full recline so it’s not suitable for newborns. And it has a good weight limit of 18kgs. The basket is good considering it’s a SUPER LIGHTWEIGHT pram. And the fold is simple and compact. Just what you’re looking for in a holiday stroller. I love the fold on the Safety 1st Nook. I always admire prams that I can just walk up to, have a look at it, and intuitively work out how to fold them without needing to be shown. This is also a compact, inexpensive, travel stroller. It comes with a carry bag. And it is suitable for newborns! 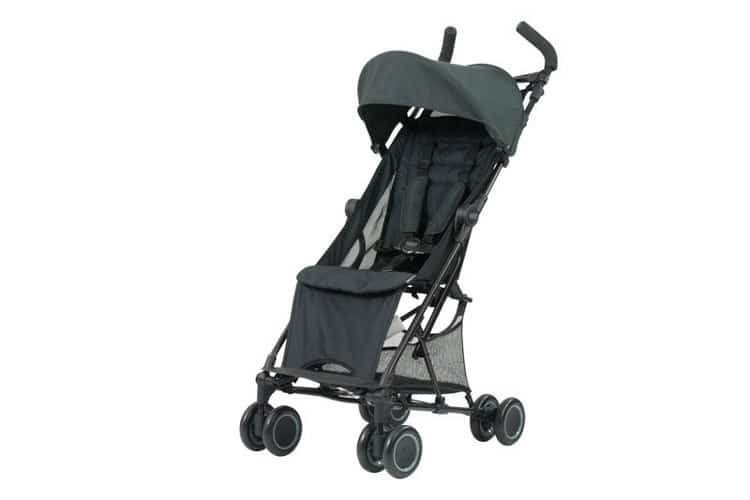 It would also be a great stroller to just keep in your boot or travel with. Though with its tiny wheels it’s a strictly footpaths, shopping centres, and airports pram. It won’t handle much in the way of off-roading. Okay so obviously at this price point I’m not suggesting that you buy the Cybex Mios stroller to exclusively use as a travel pram, this is more of a super-light and compact every day pram that you could also take travelling (though personally I’d pay for some travel insurance before putting this precious bundle on a plane.) The seat can be forward or parent facing, and can fold with the seat attached facing in either direction; and the seat is also suitable for newborns. Which is a combination I love. The fold is also simple and very compact. 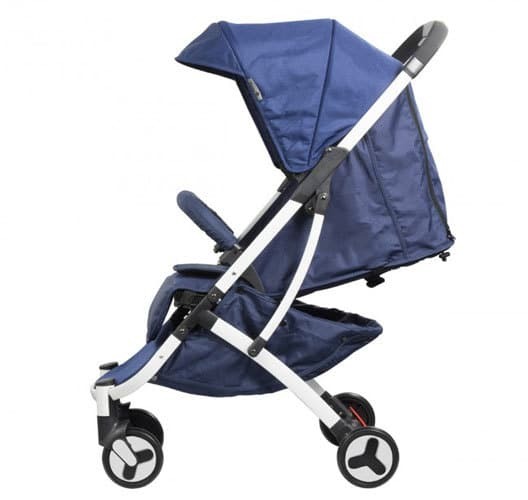 So this is a fantastic if you do want a compact pram, but don’t want to compromise on features. I’ve been eagerly waiting for the GB Pockit Plus to appear in Australia. Basically it’s very similar to the GB Pockit, which is the world’s smallest pram and you can watch me folding it here. The main upgrades with the GB Pockit Plus is it’s larger canopy, bigger basket, wider seat and a semi-recline (The GB Pockit has no recline at all.) But most exciting upgrade is that the GB Pockit Plus is it can be used for newborns with either a carrycot, or car capsule (sold seperately). Despite the uprages the GB Pockit Plus is still a remarkably compact pram, and will fit as overhead storage on a plane. Uppababy make great prams and I’m sure the Minu is no exception. I love the look of this pram, though it’s not here in Australia yet, so I haven’t actually been able to see it myself. But from the videos it looks pretty cool. I love the fold, it’s quick, simple and super compact. The basket size look impressive for such a small stroller, and also it’s accessible from the front and back. The main seat isn’t suitable for newborns, but there’s an accessory you can buy separately to remedy this, which is in a parent-facing position for newborns. 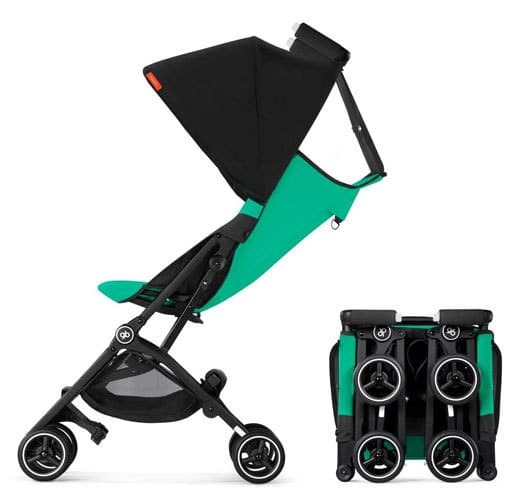 Alternatively feel free to comment below what exactly you’re looking for in the perfect travel pram for your family and I’ll see what I can come up with! What are your thoughts on the Phil & Teds Go as a travel pram?